Race Review: Green Corridor Run 2015 (by Elf) | JustRunLah! When I was first offered a slot for the Green Corridor Run I was slightly hesitant as I was not really a fan of trail running. Not that I didn’t like it but my previous experiences which included 2 NorthFace 100 25km runs, taught me to never underestimate the challenge of trail running. But since it had been awhile since I did a trail run, I decided to take on the challenge. Race pack collection was at City Square Mall was a breeze. Collection basically took less than 5 minutes and add in a 15 minutes walk to and from the Mall, I was back in the comfort of my place with my race pack in under 45minutes. 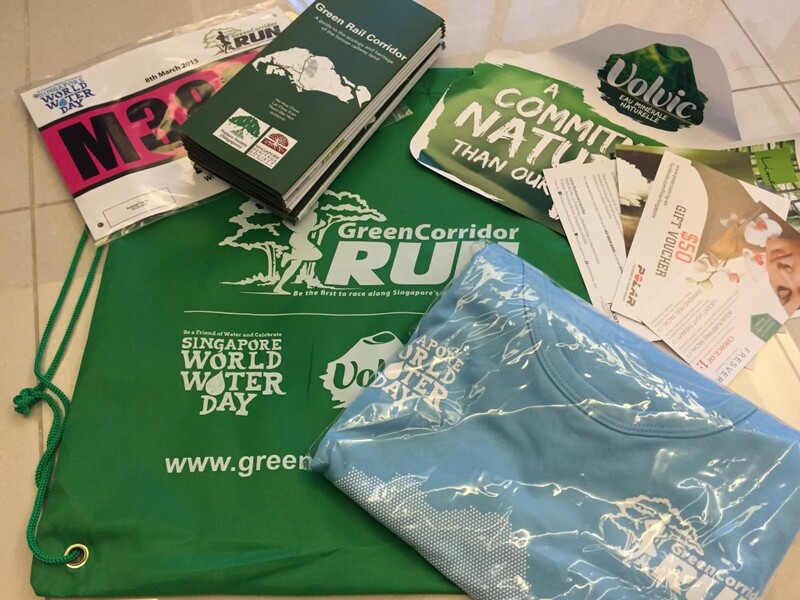 The race pack content was quite standard – bib, running top, vouchers and reusable bag as well as a Green Rail Corridor map which gave a glimpse of the route. One of the few runs in Singapore in which I was able to wake up at 7 and happily hop onto a bus to the Tanjong Pagar railway station. 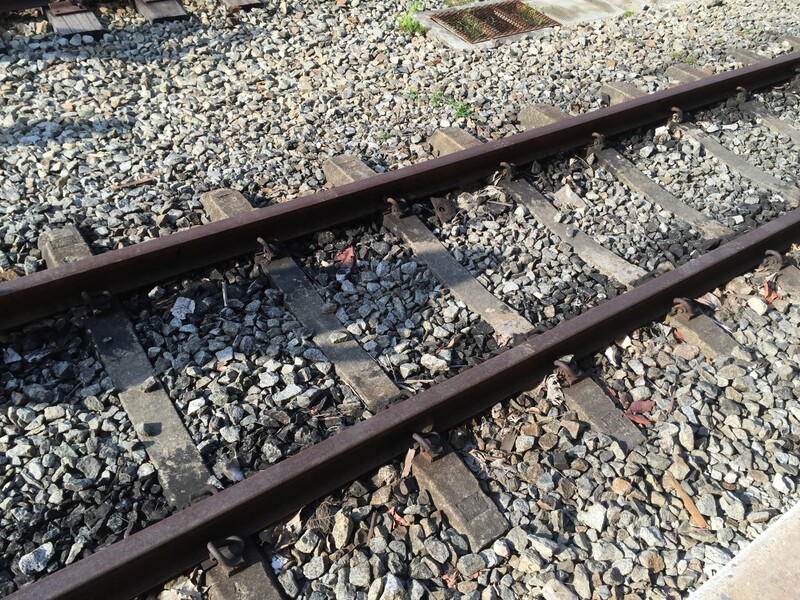 As I approached the railway station, I recollected the few times as a boy my father bringing me to the station to pick up my grandauntie whenever she came to Singapore as well as the last time I took a train out from here as I made my way with my uncle to witness Singapore winning the Malaysia Cup for the last time in 1994. I believe many who join the race for the first time not only wanted to run along the green corridor but also to visit the station which has a rich history behind it. 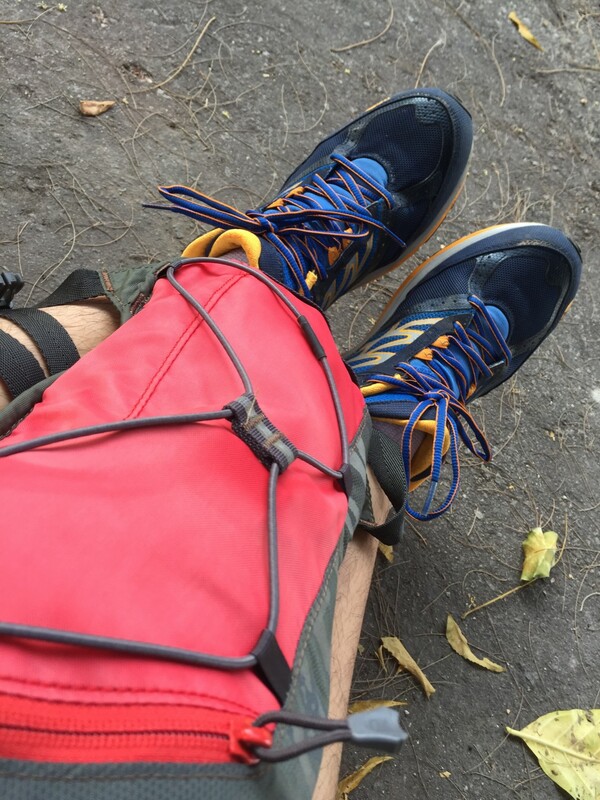 I found a spot to fiddle with my hydration pack(dug out from the storeroom after a few years of ‘cold storage) which I hoped could counter the effects of the potential heat. As I heard the first wave flag off, I slowly made my way to the starting line. Unfortunately, the flag-off for the next wave was delayed for safety reasons as it seemed that the last runner from the first wave was taking longer than expected to reach one of the checkpoint – hence the 2nd wave was made to wait under the sun on the remnants of the railway track at the station. Eventually after a 20 minute wait, the 2nd wave got flagged off 0940hrs. The starting pace was relatively slow and I thought that it was the gravel and pebbles which was causing it. But as I near the 1st kilometer mark, my concerns of the late start flag-off were confirmed as the heat got to me, as well as some of the other fellow runners. I could see some of them already walking(although it could also have been what they already doing from the start, ie treat this a Sunday stroll) and I myself already required a drink which was earlier than what I usually do. While my pace remained slow, I was able to make my way pass ‘the walking contingent’ along the way. Now most people who know me will know that I am never critical about slower runners or joggers – I myself being one of them, but my tolerance level for people who intend to walk for the whole distance is practically non-existent. While I applaud their intent to participate – they could either start at the back of the wave or rightfully start in the next wave. By choosing not to do so, they tend to make the run slightly more tedious and rather unpleasant. Back to the run, the heat was not making it any easier and by the time I reach the 1st water-point, I didn’t just had a couple of cups of water but also a longer than usual break before continuing. I pretty much did the same at the 2nd water point and the effect of the heat was taking its toll as a handful of runners basically headed to the exit point where it seems that bus(es) were waiting to ferry them. It is never easy to drop out of a race but it is something which is prudent, especially when the risk of heat-stroke is there. As the route ‘neared civilization’ around Commonwealth Drive and Tanglin Halt, you could basically see more people who probably use the Green Corridor for their weekly exercise, trekking by as well as on their bikes. At the 3rd water-point at North Buona Vista, which was a vehicle overpass or rather previously a underpass for the trains, quite a few runners stop to take in ‘Street Art’(which you don’t normally see), which is probably one of the interesting aspect of this route. While I was making my way to the bus-stop (another rare occasion which I could also take a bus back home), I had a short conversation with a Irish runner. He also observed the walkers (I was not not the only one!) and in addition to what I mentioned he also brought up the point of safety – of runners being blocked. He also remarked that there seem a lack of running etiquette when it came to overtaking, walking and even stopping(don’t do it suddenly). But we both agreed that the width of this route (versus a roadrace) probably made the problems more obvious. On the overall, this event is worth a try if you want to experience this unique route. But do note the heat that comes along with the late start time and hopefully organizers can do more to separate those who wish to do a Sunday leisure stroll in another category as well as remind participants on some of the etiquette to make this run a safer and more enjoyable event. 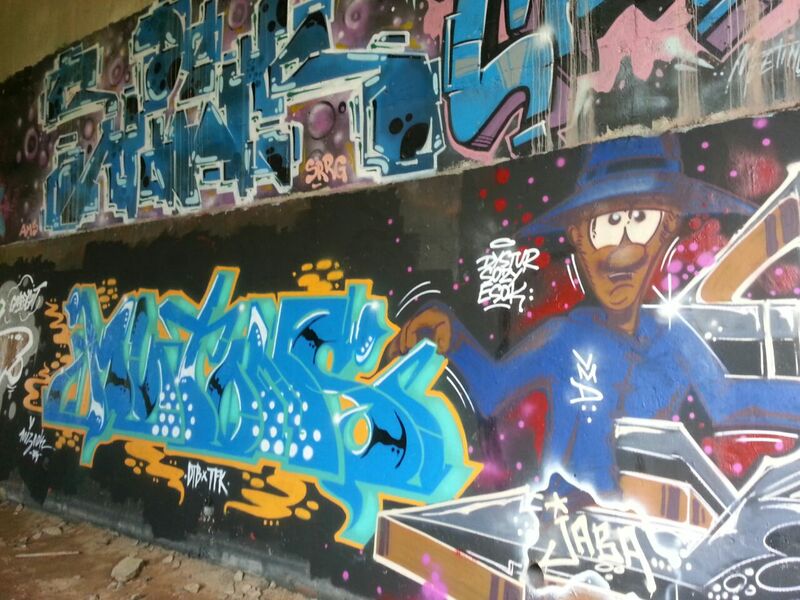 Hi Elf, loved the photo of the street art – it’s true you don’t see a lot of this around in Singapore indeed. From my personal experience, the pleasures of trail running stems from small participation numbers, and the lack of competitiveness among the participants (except the elites). As you rightly mentioned at the beginning, trail running is demanding; the tougher the terrain, the more technique involved, so timing is quite irrelevant. Then again, these are races overseas, where maybe the racers are not so kiasu? I’m sure the Green Corridor is a wonderful run, which is why it draws such a crowd, but from your description of the traffic jam and overtaking issues, its overwhelming success has also compromised its quality. Hope it hasn’t put you off trail running completely though! As I mentioned earlier, this ‘aversion’ to trail running is actually more of my fitness level(or the lack of it) than anything else…haha… regardless I do push myself to run trail every now and then. In fact I look forward to TNF 100 every year(25km category :P) – which I had missed last year due to Standard Chartered KL Marathon. Hopefully this year there is no clash in the dates! Wow, that’s an impressive goal. I’ve got an acquaintance who lives in Victoria, AUS, who is also training for the TNF100. All the best if you do go ahead and do it, and please share on JustRunLah so we can all read about it!